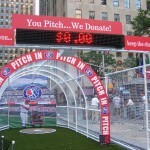 We integrated the hardware and wrote the software to power this promotion, which toured major cities in the US. 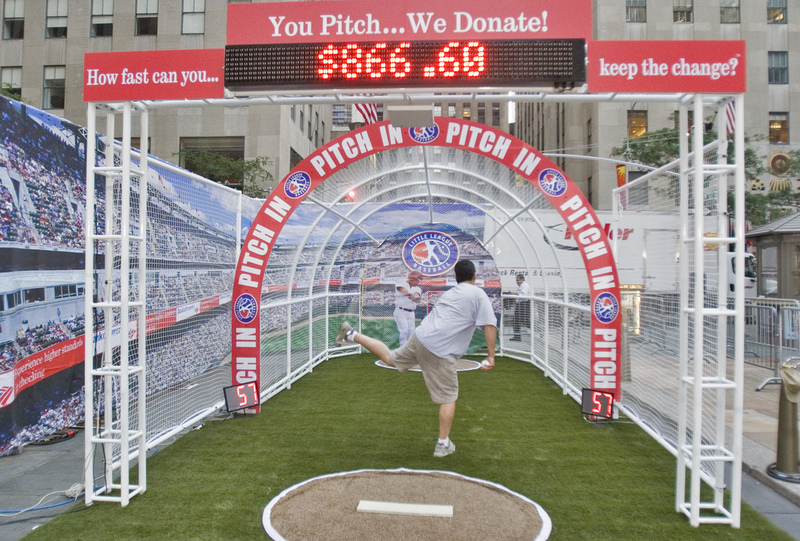 For the event, each participant threw 3 pitches, and Bank of America donated an amount of money based on the speed and accuracy of the pitches, to Little League baseball. 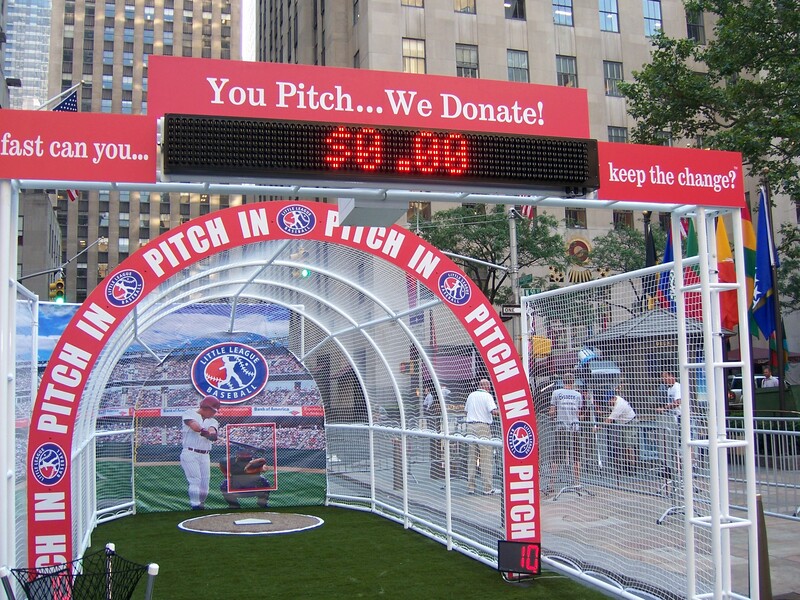 Hardware includes large LED dot matrix signs, small LED digit signs, a radar gun, and a computer. 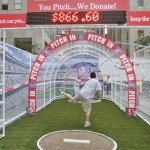 Here are some photos on Flickr [these were not taken by us] of the SpeedPitch as featured on the Today show. Video coming soon if we can clear it with everyone.